Nine Day Old Newborn Baby Girl Sleeping On A Tiny Inflatable.. Stock Photo, Picture And Royalty Free Image. Image 44643289. 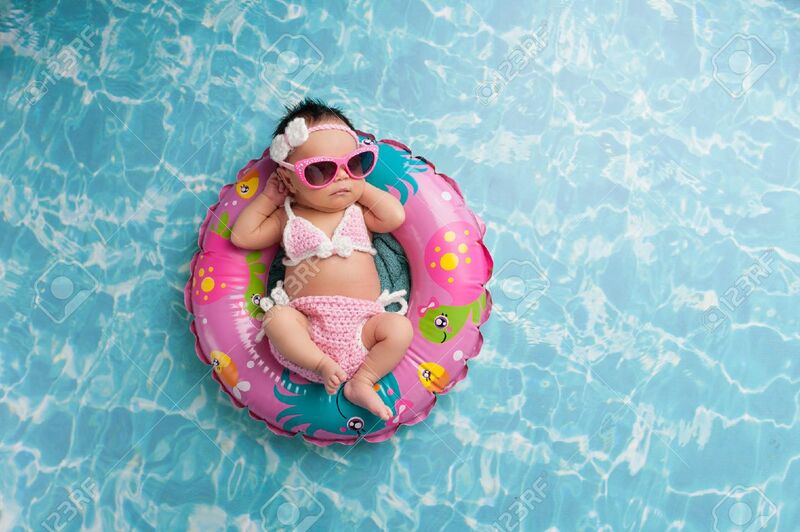 Stock Photo - Nine day old newborn baby girl sleeping on a tiny inflatable swim ring. She is wearing a crocheted pink and white bikini and pink sunglasses.